A customer of ours recently ran into a problem that you may have experienced yourself. 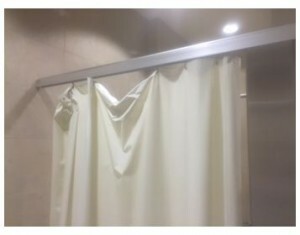 His shower curtain carriers were slowly disappearing one by one, giving his shower curtain an unattractive sine wave design. Where had they gone? They’re probably hanging out with the lost socks from the drier, and just like the socks, finding them again is not likely. Comedian George Carlin once said that “…the first thing that happens when you get to heaven, they give you back everything you've ever lost. That's the whole meaning of heaven. ‘Here you go, 75 pairs of sun glasses, 212 cigarette lighters, 4983 ball point pens...’” Rather than waiting until you get to heaven, we can help you find missing curtain track parts right now. We have a huge inventory of carriers, glides, hooks, brackets, end stops, and accessories, and we have the expertise to determine exactly what you need. 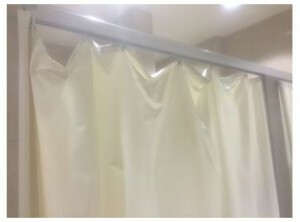 We can almost always find drapery hardware that is compatible with your current curtain track, even if it is not one of ours; and if we can keep you from having to replace a track it will save you time and money. Call our sales associates to discuss what you’re missing and what you need. They are very knowledgeable and may be able to identify the part you need from a phone conversation; or you may need to email a photo of the track and/or the hardware you have. 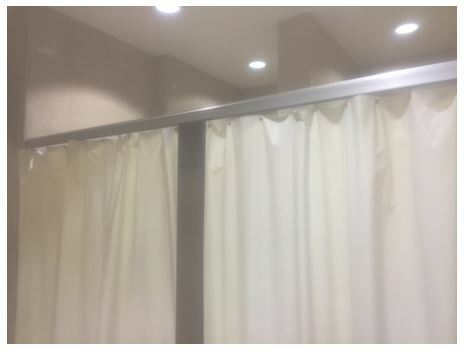 Our customer was able to get his shower in working order again by keeping his existing track and purchasing a full set of our 7122 Curtain Track Button Carriers to replace the old and lost carriers. Can we help get your curtain track working for you again? Give our sales reps a call at 888-434-7444 and/or send us some pictures at info@curtain-tracks.com and we will do our best to get your curtain track up and running again.